THE LAW FIRM OF RYAN J. WALSH & ASSOCIATES, PLLC In addition, we can assist you in landlord-tenant disputes or negotiations, estate planning, wills & trusts, probate law, and more. 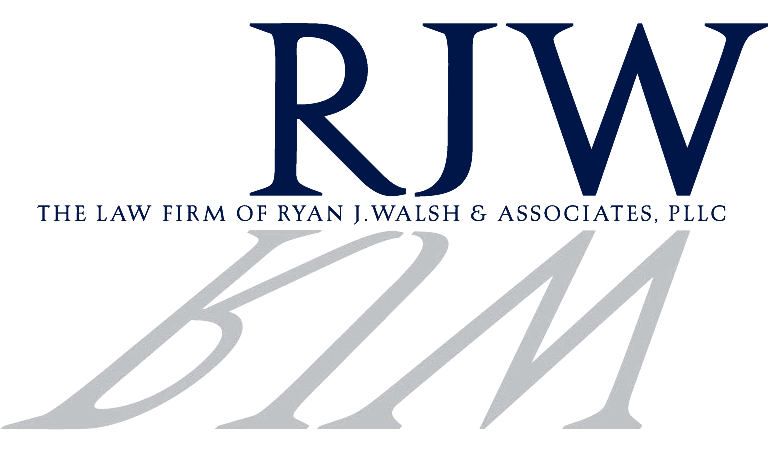 If you are in need of a legal team that has your best interests at heart and will see your transactions through from beginning to end, contact Ryan J. Walsh & Associates today. I was referred this law firm by Well Fargo Bank for my first co-op purchase. Since I did not use a real estate agent on my side, I needed to ask a lot of questions to Ryan and Melissa from the contract to closing. They were very professional, friendly, patient and reliable. I’m very happy with their service and a new apartment.... My husband and I were in the market to purchase our first home. During this confusing process, we were recommended the services of Ryan Walsh, Esq. a real estate attorney. He was a huge help! He helped us through revising the contract and pointed out a bunch of problems that would have cost us big time in the future! We were able to get the home of our dreams and saved a ton or money and headaches thanks to Mr. Walsh’s help.... As a retired NYPD sergeant, I was incredibly bored without the excitement of my day job. Having saved a decent amount of money throughout the years, I decided to partner up with a close friend and began investing in real estate. Since we started Ryan Walsh has been our attorney and has proved to be a huge asset! Throughout the years he’s been able to expedite our paperwork/documents, speed up closings, find us financing, introduce us to lenders, and just provide amazing all-around legal advice. If you’re in real estate or looking to purchase any property, Ryan is the go to guy – he really knows this game well!... When the housing market crashed my wife and I were stuck trying to sell our beach home in Suffolk County for years and were having tremendous financial problems. Thanks to the help of Ryan Walsh & Associates we were able to refinance our home, getting a better rate on our mortgage, and freeing up some much-needed cash. A year after we were finally able to find a buyer, and Ryan and his firm did all of our paperwork in a quick and timely manner, helping us through all the complex parts of our mortgage and the closing. He saved us a ton of time and money – we can’t thank him enough, he truly changed our lives!... Last year I inherited a home in Queens from a deceased relative, and thanks to Ryan Walsh I was able to save on taxes and fees associated with the transfer of property from my uncle’s will. Living in Connecticut I really had no need for the home and decided to put it up for sale. I work crazy hours as a resident physician, so I was so thankful to have Ryan and his firm handle the legal paperwork and logistics of the sale. Thanks to Ryan and the realtor he recommended I was able to have the home sold in 4 months, and only came back to the city a handful of times in the process! Thanks for everything Ryan!. And much more. His versatility and willingness to put his clients first, is a main reason his clients consider him to be the top Queens real estate attorney. While general real estate closings, rentals, leases, etc. are considered to be quite complex, and require a high level of skill as well as attention to detail – Mr. Walsh is meticulous in his efforts and does everything he can to ensure his clients get the fairest and most financially advantageous deal as possible, depending on the specifics of their situation. And despite, the constant fluctuations, and higher than average costs associated with the market in Queens real estate attorney Ryan Walsh, and his team, are able to extend these skills to the investment side as well. Providing their clients with the help and guidance to find worthwhile deals, and using federal and local laws, loans, and incentives to maximize profits. This is by far one of the most important facets of real estate investments in the NYC area – considering the high property values, a successful investor is able to utilize special loans and federally instituted incentives to their advantage, limiting risks and the amount of time spent on each individual project. To better help you to along your path to real estate investing, here are some helpful tips from top Queens real estate attorney Ryan Walsh. One of the most important things to consider when investing in real estate is whether you want to take on one or more partners. The upside to taking on partners is that you decrease your financial risks and liabilities – splitting the costs, so as to allow you to take on a more expensive property that may have a higher rate of return. Also, you can take some of the burden off your shoulders and split tasks up between partners. Some downsides are however, that you must split the profits up, rather than keeping them all to yourself. In addition, partners can often have a different vision for the property and how you would like to move forward. One mistake a first-time investor will often make is “falling in love” with a property, that might be outside their budget. Once you have a plan for a budget, and you crunch the numbers in order to set an ideal range for your return, stick to it! Spending too much money initially can completely torpedo your rate of return, and leave you stuck with a property you simply can’t unload. As we previously stated, while it is important to do your research and learn as much as you can, you aren’t an expert in real estate – so ask for the help and guidance of someone who is. Contacting someone like Queens real estate attorney Ryan Walsh, can be the difference between profit and crippling debt. Don’t be afraid to pay for help and guidance, it will save you time and money in the long run. Also, take advantage of books and online resources to learn different investment strategies that have worked in the past. No idea is original, take an idea, and improve upon on it, if need be. There are hundreds, if not thousands, of grants, loans, and special federally-instituted government incentives out there. Do your research and try to take advantage of as many as you can. The government wants to rebuild and improve on all the property in the US, so if you are planning to purchase a distressed or damaged property (or any property), with the intentions of improving its value and reselling it, the government is 100% on your side. The government offers a number of different loans, and special plans to help those looking to invest back into the country. Take Action – Be a Closer! Fear is one of the biggest issues in the investment market. If you find a property that “checks off all the boxes”, don’t be afraid to pull the trigger. Of course, be smart, about it, but don’t be afraid to pull the trigger once you’ve done your research. And with any investment there is a bit of risk involved, the key is to minimize that risk with intelligent, well-thought-out research. If you don’t close on a great opportunity, someone else will, and reap the rewards that were meant for you! With any deal, EVERYTHING should be in writing. Make sure all your contacts, agreements, everything, is thoroughly written and reviewed by a top-flight real estate lawyer. Also, keep detailed personal records for yourself. Whether its your phone, laptop, tablet or even just a tiny notepad – write everything down for yourself to remember; prices, figures, terms, phone numbers, addresses, dates, everything you think should be written down, write down. Real estate investing can be extremely lucrative when done right, no matter where you are, even in NYC, one of the most expensive cities in the world. The trick is to research and educate yourself as much as possible, and absolutely don’t be afraid to ask someone like Queens real estate attorney Ryan Walsh, Esq. For more information, or to schedule an investment consult, contact Ryan Walsh & Associate’s today. not be construed to be formal legal advice nor the formation of a lawyer/client relationship. Prior results are not guaranteed. Copyright © The Law Firm of Ryan J. Walsh & Associates PLLC. All rights reserved.